Hollie Guard – A new personal safety app. 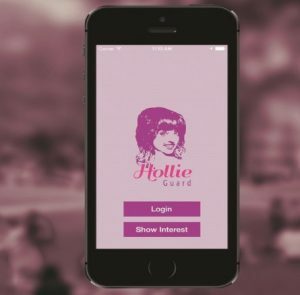 Hollie Guard is a new app designed to transform smartphones into personal safety devices. The app can be tailored to your own personal needs and features 3 alarms which can be activated by a simple shake or tap of the phone allowing data to be sent to your designated contacts to let them know you are potentially in danger. The app also features journey times, providing real time updates when users are moving between two locations and also allows the user to create danger zones to warn them when they have entered potentially dangerous areas. For more information on the app and to download it, please click here. If you would like posters to display in your business, please contact the BID office by email or on 01332 419053.